Kevin-Prince Boateng has been included in Barcelona's team to face Sevilla in the Spanish Copa del Rey as Coach Ernesto Valverde names a 19-man squad. The 31-year old forward completed one of the most surprising moves of the transfer window on Monday when he was signed from Italian side Sassuolo on an initial six-month loan with an option to buy. The Ghana star could make his debut for the Catalans as he has been named in the matchday squad to play Sevilla FC at the Ramon Sanchez-Pizjuan Stadium tomorrow, January 23, 2019, in the quarter-final first leg of the Spanish Copa del Rey. 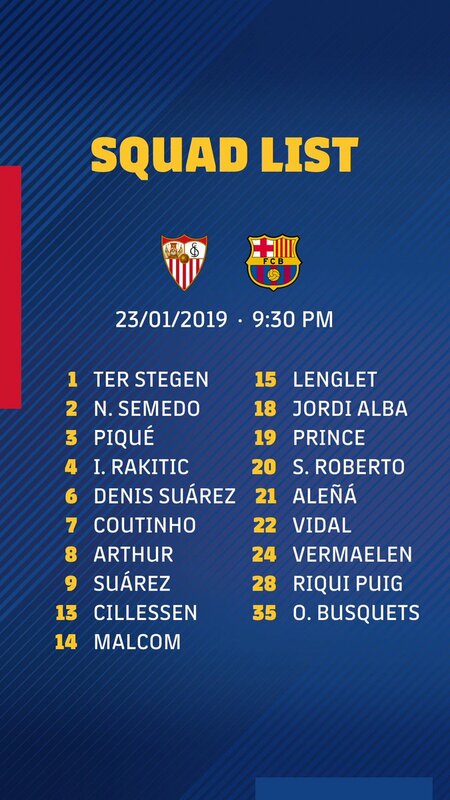 Ter Stegen, N. Semedo, Piqué, I. Rakitic, Denis Suárez, Coutinho, Arthur, Suárez, Cillessen, Malcom, Lenglet, Jordi Alba, ng, Kevin-Prince Boateng, S. Roberto, Aleñá, Vidal, Vermaelen, Riqui Puig, and O. Busquets. Sergio Busquet, Messi and Samper are out of the call for technical decision, by Murillo sanction and by injury O. Dembélé, Rafinha and Umtiti.